The Suzanne Winsor Freeman Memorial Student Genealogy Grant Committee and the Southern California Genealogical Society Jamboree are pleased to announce the 2017 Student Grant and Jamboree Scholarship. Student genealogists between the ages of 18 and 23 are eligible to apply for the $500 cash award and full registration scholarship to the 2017 SCGS Jamboree to be held in Burbank, California June 9-11, 2017. The Student Grant was established in 2010 by family and friends in memory of Suzanne Winsor Freeman, family historian and life-long volunteer, and an enthusiastic annual attendee at the SCGS Jamboree. The 2017 Southern California Genealogy Jamboree sponsored by the Southern California Genealogical Society will provide three-day conference registration to the SCGS Jamboree in June where the award will be presented. This is a unique opportunity for a young genealogist to attend a premiere regional conference and meet genealogists from throughout the nation. Past recipients include Melanie Frick (Monrovia, California), Paul Woodbury (Provo, Utah). Michael Savoca (Toms River, New Jersey), Elyse Doerflinger (Lomita, California), A.C. Ivory (Salt Lake City, Utah), and Anthony Ray (Palmdale, California). “The Student Genealogy Grant pays tribute to Suzanne Freeman’s dedication to youth volunteerism and family history by awarding the annual cash grant to a young genealogist attending the SCGS Annual Genealogy Jamboree, Southern California’s premiere regional genealogy conference,” notes Denise Levenick, committee chair and Freeman’s daughter. Born in Olathe, Kansas, Suzanne Winsor (Brown) Freeman moved to Orange County, California with her family in the early 1930s where she attended school and lived most of her life. She developed a strong interest in family history sparked by the stories of her mother’s early life in Colorado and Kansas. After retirement Suzanne moved to Green Valley, Arizona where she was active in the local genealogy society. She enjoyed returning to Southern California each year in June to attend the SCGS Jamboree. 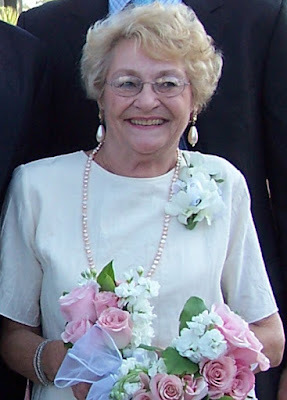 Suzanne passed away after a brief illness in Tucson, Arizona August 28, 2010. The $500 cash award pays tribute to these interests by awarding the annual cash grant to a young genealogist attending the Jamboree. In addition, a student scholarship for conference registration to the Annual Southern California Genealogy Jamboree will be provided by the Jamboree conference. Any genealogist who is between the ages of 18 and 23 as of June 9, 2017 and a full-time or part-time is eligible to apply. The award will be presented at Jamboree 2017; the recipient must be present to receive the award. See the Grant Application for eligibility details. Funding for the cash award is provided by the family grant program; Jamboree registration is provided by the conference. Individual contributions to the grant program are welcome at the Student Grant Webpage. Application deadline is April 15, 2017 midnight Pacific Daylight Time. Application details and forms are available at the Student Grant Webpage http://www.thefamilycurator.com/swf-grant. Suzanne Winsor Freeman’s Obituary is available here.